There are a number of research needs and deficiencies in training methodologies for upset/stall prevention and recovery training protocols. In an effort to address these gaps UPRTA offers the following outline. This high level framework and general sequence of training phases has been practically verified to yield consistent results in enhanced upset/stall prevention and recovery training (UPRT). The verified program delivery outlined below integrates on-line computer-based training, instructor-led training, on-aircraft platforms and level D full flight simulators. Despite the content, sequence, methodologies and specialty topics delivered by a training organization, the success of any training program is directly related to the individual instructor’s ability to present a building block approach appropriate to, and tailored to, the individual pilot-in-training. UPRT is often an individualized training process due to both its inherent complexities and the widely varying experience levels of commercial pilots. The extent, depth and duration of the training program can vary significantly as a function of the baseline knowledge and skill of both the Instructor Pilot and trainee involved in the training process. Advertisement: Visit the Global Leader in Upset Prevention & Recovery Training. In simple terms, proportional counter response is the timely manipulation of flight controls and thrust, either singly or in combination, to manage an airplane flight attitude and/or flight envelope excursion that was unintended or not commanded by the pilot. The trained pilot is ‘situationally’ aware and recognizes the developing threat. The time scale of this element of prevention is typically on the order of seconds or fractions of seconds with its goal being to recognize the development of a threatening condition and take proportional avoidance actions to preclude its development into an airplane upset. Due to the surprising nature of this level of developing upset, there is often a high risk of the pilot panicking and over-reacting to the event with the further risk of making the situation worse, unrecoverable or even generating structural failure in rare instances. The ability of the trained pilot to overcome surprise/startle factor can be significantly enhanced through exposure to similar time-critical events during training in combination with the pilot’s enhanced skill set capable of resolving a flight condition beyond those experienced in day-to-day operations. Note: In fly-by-wire airplanes with active flight envelope protections, this phase of time-critical prevention through proportional counter-response may be accomplished by the pilot allowing the automation to attempt to manage the time-critical disturbance in its entirety (if recommended by the manufacturer). Once an airplane’s flight condition exceeds a certain level of severity, whether unintentional or uncommanded, the pilot must recognize the necessity of intervention and avert disaster through the pro-active application of effective upset recovery techniques. Early prevention through proportional counter-response in a developing airplane upset cannot be over-emphasized in UPRT. However, once the flight condition has transitioned from the prevention phase and into the recovery phase, the pilot must recognize the transition and employ immediate corrective recovery action. Although definitions of an upset can vary, an airplane upset is typically defined as an unintentional flight condition that has deviated beyond established threshold values of pitch, roll, airspeed and/or angle of attack. One major deficiency in many UPRT programs is that the recovery phase of UPRT is often the primary, or exclusive, focus of training. On its own recovery training does offer significant value on a variety of levels, however, the core element of UPRT must again remain focused on prevention. However, the process of recovery training enhances the pilot’s ability to contain startle factor, comprehend the primary all-attitude all-envelope proper use of primary flight controls and to also enhance situational awareness. Similar to the overall concept of a building block approach to UPRT, the recovery phase is best served by following a similar process of awareness and skill development. The general sequence of imparting UPRT skills tends to follow the flow of (a) Primary Control Strategies, (b) Alternate Control Strategies, (c) Ancillary Integration, and (d) Type/Class Specific Considerations. 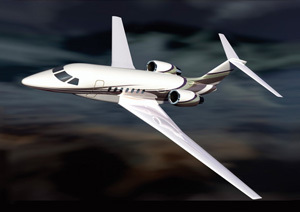 It must be clear that type-specific considerations can be crucial to the effective implementation of recovery techniques and that the airplane manufacturer’s recommended recovery methods always take precedence. This general building-block sequence addressing the recovery phase of skills training has been shown to impart long lasting skill sets to pilots while maximizing the understanding of prevention and recovery mitigation within the widest range of fixed wing airplane operations. The end result of a comprehensive upset recovery training program is to arm pilots with enhanced awareness and skills that are transferable and effective in their own airplane type. 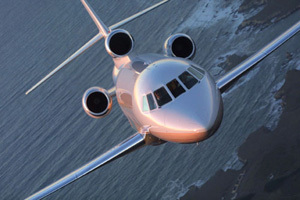 The CRM aspect of Upset Recovery Training is particularly challenging due to the wide spread inconsistency of UPRT training in the commercial aviation industry. Although there is value in one crew member being comprehensively trained in the airplane upset/stall discipline, the presence of an additional crew member in the decision making process, as is the case in the CRM environment, can have dire consequences. Although the fundamental principles of enhancing situation awareness and promoting mutual decision making in the CRM environment is supportable, the time line is intensely compressed. 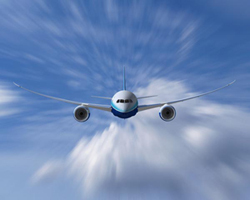 Given Boeing/NASA research demonstrating the critical window of time necessary to resolve an airplane upset often at less than 10 seconds to initiate correct recovery action, the threat posed by the interference of the untrained crew member is severe. 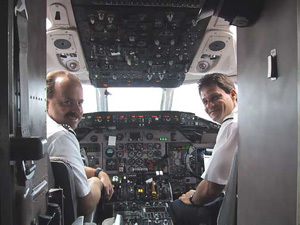 In general terms, the crew must (a) communicate and confirm the situation, (b) transfer control to the most situationally aware pilot, and (c) work together through standardized interactions to mutually enhance awareness of the flight condition in order to manage stress between crew members and mitigate fear in a life-threatening situation. Due to the counter-intuitive nature of the UPRT environment, the untrained crew member can be the most unpredictable element of the CRM-dependent airplane upset prevention and/or recovery scenario.